The Isthmo-Colombian Area is defined as a cultural area encompassing those territories occupied predominantly by speakers of the Chibchan languages at the time of European contact. It includes portions of the Central American isthmus like eastern El Salvador, eastern Honduras, Caribbean Nicaragua, Costa Rica, Panama, and northern Colombia. The following is an alphabetical list of subregions in the United Nations geoscheme for the Americas. Middle America is a region in the mid-latitudes of the Americas. In southern North America, it usually comprises Mexico, the nations of Central America, and the Caribbean. 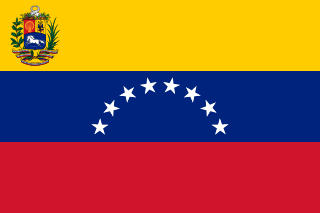 In northern South America, it usually comprises Colombia and Venezuela. The Caribbean is occasionally excluded from the region, and the Guianas are infrequently included. 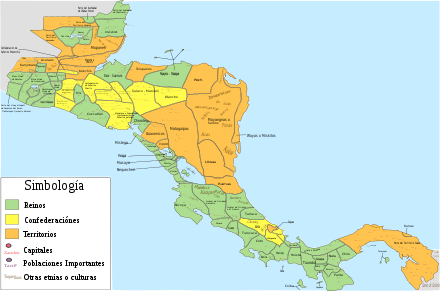 In the Pre-Columbian era, the northern areas of Central America were inhabited by the indigenous peoples of Mesoamerica. 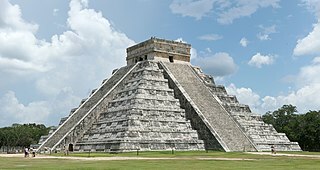 Most notable among these were the Mayans, who had built numerous cities throughout the region, and the Aztecs, who had created a vast empire. 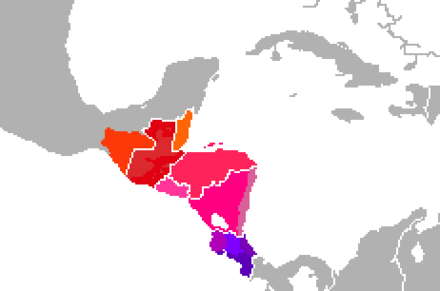 The pre-Columbian cultures of eastern El Salvador, eastern Honduras, Caribbean Nicaragua, most of Costa Rica and Panama were predominantly speakers of the Chibchan languages at the time of European contact and are considered by some  culturally different and grouped in the Isthmo-Colombian Area. The Maya peoples are a large group of Indigenous peoples of Mesoamerica. They inhabit southern Mexico, Guatemala, Belize, El Salvador and Honduras. 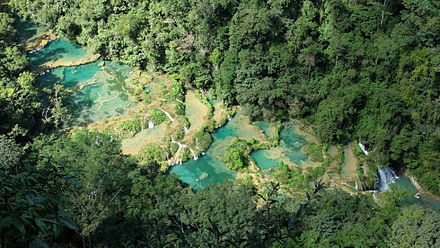 The overarching term "Maya" is a collective designation to include the peoples of the region that share some degree of cultural and linguistic heritage; however, the term embraces many distinct populations, societies, and ethnic groups that each have their own particular traditions, cultures, and historical identity. In 1538, Spain established the Real Audiencia of Panama, which had jurisdiction over all land from the Strait of Magellan to the Gulf of Fonseca. 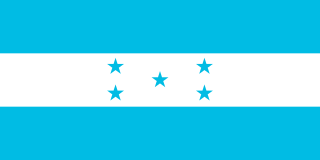 This entity was dissolved in 1543, and most of the territory within Central America then fell under the jurisdiction of the Audiencia Real de Guatemala . 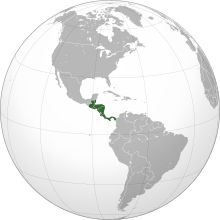 This area included the current territories of Costa Rica, El Salvador, Guatemala, Honduras, Nicaragua, and the Mexican state of Chiapas, but excluded the lands that would become Belize and Panama. The president of the Audiencia, which had its seat in Antigua Guatemala, was the governor of the entire area. In 1609 the area became a captaincy general and the governor was also granted the title of captain general. 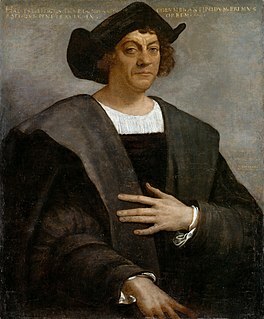 The Captaincy General of Guatemala encompassed most of Central America, with the exception of present-day Belize and Panama. Central America is the tapering isthmus of southern North America, with unique and varied geographic features. The Pacific Ocean lies to the southwest, the Caribbean Sea lies to the northeast, and the Gulf of Mexico lies to the north. Some physiographists define the Isthmus of Tehuantepec as the northern geographic border of Central America,  while others use the northwestern borders of Belize and Guatemala. From there, the Central American land mass extends southeastward to the Atrato River, where it connects to the Pacific Lowlands in northwestern South America. The Central American pine-oak forests ecoregion, in the tropical and subtropical coniferous forests biome, is found in Central America and southern Mexico. The Central American pine-oak forests occupy an area of 111,400 square kilometers (43,000 sq mi),  extending along the mountainous spine of Central America, extending from the Sierra Madre de Chiapas in Mexico's Chiapas state through the highlands of Guatemala, El Salvador, and Honduras to central Nicaragua. The pine-oak forests lie between 600–1,800 metres (2,000–5,900 ft) elevation,  and are surrounded at lower elevations by tropical moist forests and tropical dry forests. Higher elevations above 1,800 metres (5,900 ft) are usually covered with Central American montane forests. The Central American pine-oak forests are composed of many species characteristic of temperate North America including oak, pine, fir, and cypress. Laurel forest is the most common type of Central American temperate evergreen cloud forest, found in almost all Central American countries, normally more than 1,000 meters (3,300 ft) above sea level. Tree species include evergreen oaks, members of the laurel family, and species of Weinmannia , Drimys , and Magnolia . 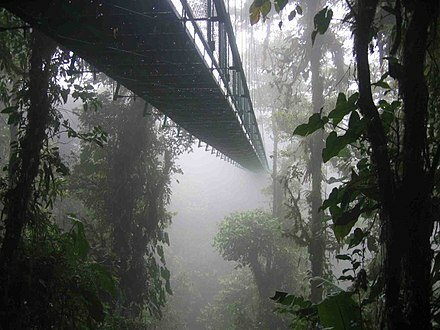 The cloud forest of Sierra de las Minas, Guatemala, is the largest in Central America. In some areas of southeastern Honduras there are cloud forests, the largest located near the border with Nicaragua. In Nicaragua, cloud forests are situated near the border with Honduras, but many were cleared to grow coffee. There are still some temperate evergreen hills in the north. The only cloud forest in the Pacific coastal zone of Central America is on the Mombacho volcano in Nicaragua. In Costa Rica, there are laurel forests in the Cordillera de Tilarán and Volcán Arenal, called Monteverde, also in the Cordillera de Talamanca. Ecoregions are not only established to protect the forests themselves but also because they are habitats for an incomparably rich and often endemic fauna. Almost half of the bird population of the Talamancan montane forests in Costa Rica and Panama are endemic to this region. Several birds are listed as threatened, most notably the resplendent quetzal (Pharomacrus mocinno), three-wattled bellbird (Procnias tricarunculata), bare-necked umbrellabird (Cephalopterus glabricollis), and black guan (Chamaepetes unicolor). Many of the amphibians are endemic and depend on the existence of forest. The golden toad that once inhabited a small region in the Monteverde Reserve, which is part of the Talamancan montane forests, has not been seen alive since 1989 and is listed as extinct by IUCN. The exact causes for its extinction are unknown. Global warming may have played a role, because the development of that frog is typical for this area may have been compromised. Seven small mammals are endemic to the Costa Rica-Chiriqui highlands within the Talamancan montane forest region. Jaguars, cougars, spider monkeys, as well as tapirs, and anteaters live in the woods of Central America. The Central American red brocket is a brocket deer found in Central America's tropical forest. 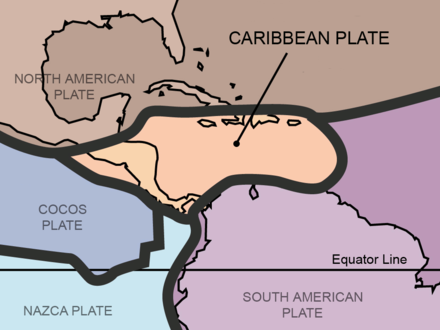 Most of Central America rests atop the Caribbean Plate. This tectonic plate converges with the Cocos, Nazca, and North American plates to form the Middle America Trench, a major subduction zone. The Middle America Trench is situated some 60–160 kilometers (37–99 mi) off the Pacific coast of Central America and runs roughly parallel to it. Many large earthquakes have occurred as a result of seismic activity at the Middle America Trench. For example, subduction of the Cocos Plate beneath the North American Plate at the Middle America Trench is believed to have caused the 1985 Mexico City earthquake that killed as many as 40,000 people. Seismic activity at the Middle America Trench is also responsible for earthquakes in 1902, 1942, 1956, 1982, 1992, 2001, 2007, 2012, 2014, and many other earthquakes throughout Central America. On 6 December 2008, SICA announced an agreement to pursue a common currency and common passport for the member nations. No timeline for implementation was discussed. 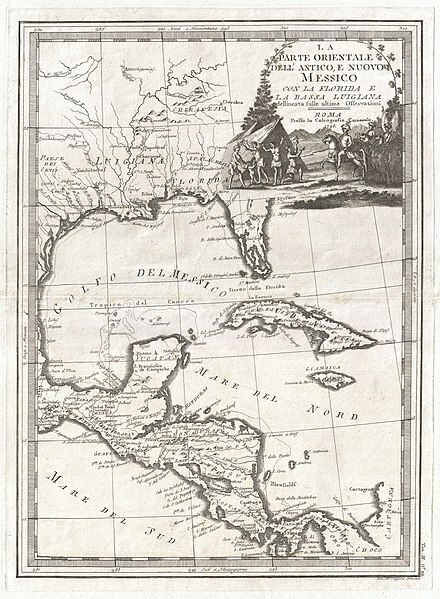 The history of Central America is the study of the region known as Central America. 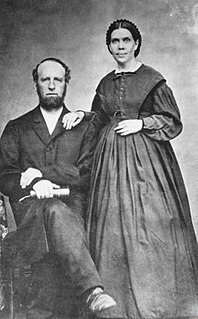 The Inter-American Division of Seventh-day Adventists is a sub-entity of the General Conference of Seventh-day Adventists, which oversees the Church's work in the nations of Anguilla, Antigua and Barbuda, Aruba, Bahamas, Barbados, Belize, Bonaire, British Virgin Islands, Cayman Islands, Colombia, Costa Rica, Cuba, Curaçao, Dominica, Dominican Republic, El Salvador, French Guiana, Grenada, Guadeloupe, Guatemala, Guyana, Haiti, Honduras, Jamaica, Martinique, Mexico, Montserrat, Nicaragua, Panama, Puerto Rico, Saba, Sint Eustatius, Saint Kitts and Nevis, Saint Lucia, Saint Martin, Saint Vincent and the Grenadines, Suriname, Trinidad and Tobago, Turks and Caicos Islands, United States Virgin Islands, and Venezuela. Its headquarters, which is the only division of the church whose headquarters is outside its territory, is in Miami, Florida. The Division membership is 3,835,017 as of June 30, 2018. The Caribbean Basin is generally defined as the area running from Florida westward along the Gulf coast, then south along the Mexican coast through Central America and then eastward across the northern coast of South America. This region includes the islands of the archipelago of the West Indies. Bermuda is also included within the region even though it is in the west-central Atlantic, due to its common cultural history created by European colonization of the region, and in most of the region by the presence of a significant group of African descent. The Central American Bank for Economic Integration - CABEI was founded in 1960. Is an international multilateral development financial institution. Its resources are invested in projects that foster development to reduce poverty and inequality; strengthen regional integration and the competitive insertion of its member countries in the global economy; providing special attention to environmental sustainability. Its headquarters are in Tegucigalpa(Honduras) and has regional offices in Guatemala, Honduras, El Salvador, Nicaragua, Costa Rica and Panama. Drymobius is a genus of colubrid snakes commonly referred to as neotropical racers, which are endemic to the Americas. There are four species recognized in the genus. The Central America bioregion is a biogeographic region comprising southern Mexico and Central America. The Central American Integration System has been the economic and political organization of Central American states since February 1, 1993. On December 13, 1991, the ODECA countries signed the Protocol of Tegucigalpa, extending earlier cooperation for regional peace, political freedom, democracy and economic development. SICA's General Secretariat is in El Salvador. The Multilateral Investment Fund (MIF) is an independent fund administered by the Inter-American Development Bank (IDB), created in 1993 to support private sector development in Latin America and the Caribbean. In partnership with business organizations, governments, and non-governmental organizations (NGOs), MIF's stated goal is to provide technical assistance and investments to support micro and small business growth, build worker skills, and to improve markets and access to finance. The 2010 Central American and Caribbean Games Preliminary Round was a preliminary round contested by some CONCACAF teams that determined the qualified teams to the 2010 Central American and Caribbean Games. Six teams were drawn into 3 matchups that were contested in a two-legged tie. The first leg of each of the Preliminary Round matchups was played on March 21, 2010, and the second leg was played on March 27–28. Costa Rica did not participate in the first part, being the strongest team, they got an automatic spot into an extra playoff series against the best losing team of the two-legged series. Nicaragua, having the best result, played against Costa Rica. All 7 Central American associations took part of the qualifying process. The Men's Association football competition at the 2001 Central American Games took place from 22 November to 2 December at the Estadio Mateo Flores in Guatemala City. This was the seventh Football edition since 1973. Football was contested for men only at the 1950 Central American and Caribbean Games in Guatemala City, Guatemala. Echites is a genus of flowering plants in the family Apocynaceae, first described as a genus in 1756. It is primarily native to Mexico, Central America, the West Indies, and the US State of Florida. This is a list of the Honduras national football team results from 2000 to 2009. 1 2 "Central America". central-america.org. Retrieved 4 September 2016. Central America is located between North and South America and consists of multiple countries. Central America is not a continent but a subcontinent since it lies within the continent America. It borders on the northwest to the Pacific Ocean and in the northeast to the Caribbean Sea. The countries that belong to the subcontinent of Central America are Belize, Costa Rica, El Salvador, Guatemala, Honduras, Nicaragua and Panama. 1 2 IBP, Inc (2009). Central America Economic Integration and Cooperation Handbook Volume 1 Strategic Information, Organizations and Programs. p. 8. ISBN 978-1-4387-4280-9. ↑ Index Mundi (2012). "Population – Central America & the Caribbean". Index Mundi. Retrieved 2015-01-01. ↑ Hoopes, John W. and Oscar Fonseca Z. (2003). Goldwork and Chibchan Identity:Endogenous Change and Diffuse Unity in the Isthmo-Colombian Area (PDF). Washington, DC: Dumbarton Oaks. ISBN 978-0-82631-000-2. Archived from the original (Online text reproduction) on 25 February 2009. ↑ Livingstone, Grace (2013). America's Backyard: The United States and Latin America from the Monroe Doctrine to the War on Terror. Zed Books Ltd. p. 31. ISBN 978-1-84813-611-3. ↑ Argueta, O; Huhn, S; Kurtenbach, S; Peetz, P (2011). "Blocked democracies in Central America" (PDF). GIGA Focus International Edition (5): 1–8. ISSN 1862-3581. ↑ "Extreme poverty increases in Nicaragua in 2013, study finds". American Free Press . 13 November 2014. Retrieved 2015-01-02. ↑ "Central America". Merriam-Webster's collegiate dictionary . Merriam-Webster.com. Retrieved 2015-01-01. ↑ IBP, Inc. (2015). Central American Countries Mineral Industry Handbook Volume 1 Strategic Information and Regulations. pp. 7, 8. ISBN 978-1-329-09114-6. ↑ Harvey, CA; Komar, O; Chazdon, R; Ferguson, BG (2008). "Integrating agricultural landscapes with biodiversity conservation in the Mesoamerican hotspot". Conservation Biology. 22 (1): 8–15. doi:10.1111/j.1523-1739.2007.00863.x. PMID 18254848. ↑ Ramos, A (2 July 2010). "Belize protected areas 26% – not 40-odd percent". Amandala . Belize City. Archived from the original on 14 May 2011. Retrieved 2015-01-01. ↑ "2018 HDI Statistical Update". 14 September 2018. Retrieved 2018-10-14. ↑ "Central American leaders agree on common currency". France 24. Retrieved 2018-03-05. ↑ "Taiwan cuts ties with Costa Rica over recognition for China". The New York Times . Retrieved 19 October 2014. ↑ "In historic move, Panama and China establish diplomatic relations". America.cgtn.com. 12 June 2017. Retrieved 2019-01-30. ↑ Ramzy, Austin (24 August 2018). "White House Criticizes China over el Salvador Recognition". The New York Times. ↑ International Monetary Fund (2014). World economic outlook October 2014: legacies, clouds, uncertainties (PDF). World economic and financial surveys. Washington, D.C.: International Monetary Fund. ISBN 978-1-48438-0-666 . Retrieved 2015-01-01. 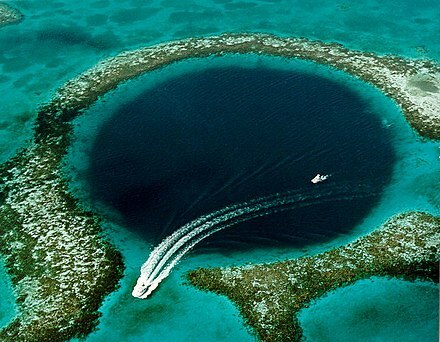 ↑ "2012: a remarkable year for Belize's tourism industry". The San Pedro Sun . San Pedro, Belize. 8 February 2013. Retrieved 2015-01-04. ↑ "Belize | Tours & Activities – Project Expedition". Project Expedition. Retrieved 2016-06-30. 1 2 Inman, C (1997). "Impacts on developing countries of changing production and consumption patterns in developed countries: the case of ecotourism in Costa Rica" (PDF). Alajuela, Costa Rica: INCAE Business School . Retrieved 2015-01-01. ↑ Departamento de Estadísticas ICT (2006). "Anuário estadísticas de demanda 2006" (PDF) (in Spanish). Intituto Costarricense de Turismo. Archived from the original (PDF) on 2 March 2011. Retrieved 2008-06-13. ↑ Carroll, R (6 January 2007). "Ortega banks on tourism to beat poverty". The Guardian . London: theguardian.com . Retrieved 2015-01-03. ↑ "Nicaragua exceeds one mn foreign tourists for first time". Sify.com. Retrieved 2019-01-30. Central America. Columbia Encyclopedia , 6th ed. 2001–6. New York: Columbia University Press. WordNet Princeton University: Central America [ permanent dead link ]. Central America. Columbia Gazetteer of the World Online . 2006. New York: Columbia University Press.